Many Reading Fightin Phils fans are no doubt looking forward to feasting on their first ballpark hot dog of the season, but the R-Phils have some new options on their food menu. Was his service broadcaster for the clearwater threshers. >>we'll have much more on her story coming up on the berks edition at 1030. >>well fans can also try some new foods out at firstenergy stadium this season, several items have been added to the menu wfmz is jim vassell is live at the ballpark now and jim what sounds good this year. >>what is you know the birds hot dogs here just a legendary also as and mascara told that he can vouch for that for me, but a new offerings to share some true that you would see at just any other ballpark. 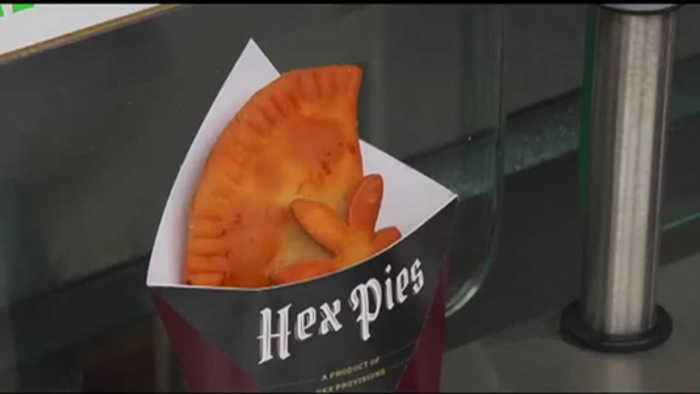 >>some new concessions at firstenergy stadium to be on berks hot dogs and beer cover looking for to the team is introducing hex pies a meat and potato pie inspired by pennsylvania dutch culture, the adviser made in partnership with wyomissing dazed and during his term meets the potatoes some onions on some special spices that the and under high serve you put in there some secret ingredients does great for our you know our atmosphere here for a food item. >>also new to this year's lineup. The team is offering sky energy drinks and jack. But let's go back to that first hot dog for second the fight and say they're providing a healthy organic beef hot dog option. >>now don't know if the afraid we still have our regular berks dogs of the re the size and the jumbo hot always want to get something for the fans that one and a little more healthy alternative an organic is going really well now we just wanted to give them an option. >>yes the fightin phils just adding to their arsenal of concessions here firstenergy stadium now in addition to what spied on the run. 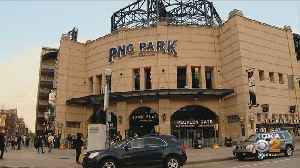 When the Pirates return to PNC Park on Monday, fans will see new food, new merchandise and, for many, a new possibility of betting on the ballgame; KDKA's John Shumway reports.